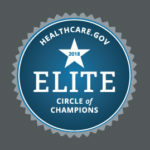 The essential health benefits must be equal in scope to benefits offered by a “typical employer health plan.” A final rule issued by the U.S. Department of Health and Human Services defines essential health benefits based on state-specific essential health benefits benchmark plans, and provides that all plans subject to the essential health benefits requirements offer benefits substantially equal to the benefits offered by the benchmark plan. For more information on EHB-benchmark plans for each of the 50 states and D.C., click here. Note: If allowed by a particular state and insurance company, a small business may be able to renew its current group plan through December 31, 2018, even though the coverage does not comply with the requirement to cover essential health benefits. Click here for more information on essential health benefits.